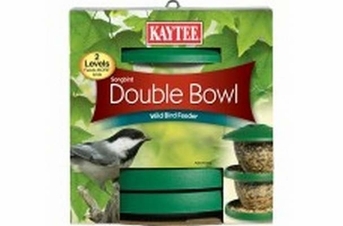 KAYTEE Songbird Bowl feeder is made for the small colorful songbirds you love. It holds up to a pound of wild bird food and the ventilated bowl and tray help air circulation and drainage to keep it fresh. And when its time to refill the twist-off lid makes it fast and easy. KAYTEE bowl feeders are molded with weather resistant material to improve durability and resist fading and cracking.